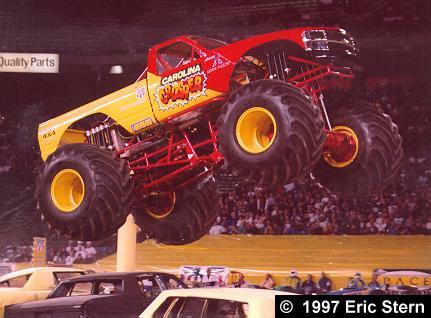 Truck Facts: 2000 Chevrolet. 572ci Chevrolet Rodeck engine. Custom built Knight Stalker nitrogen shocks. Outstanding Achievements: Former owner Gary Porter was the 1991 Penda Points Series World Champion. Porter sold his team to Paul Shafer in 1999. Gary Porter is currently driving Garve Digger #12 for Clear Channel Entertainment Motor Sports.